Starter Package: Are You Emotionally Smart? - Optimize Your EQ for Better Relationships and a More Fulfilling Life from Ready2Go Marketing Solutions, Inc. The backbone of human behavior is EMOTIONAL RESPONSE. If you, or I, or ANYONE want to deepen relationships, win friends or have any kind of influence, the secret is emotional connection & response. Many years ago emotions were seen as weak and a lesser form of intelligence. But studies over the last several decades have shown the exact opposite. Being able to notice, identify and respond to your emotions AND the emotions of others is THE key to success, influence, rapport, well-being, and overall happiness. The Starter Pack uses several products that serve to educate your clients about expanding and activating that hidden potential that we all have of understanding, empathy and awareness with ourselves and others. The result? 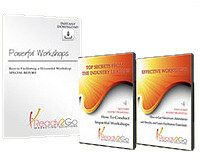 Dramatically improved relationships, level of success, and health, happiness and well-being. There is little that equals the power of our emotions if only we are open to learning how to effectively recognize and use this powerful resource.